In "Size Matters", Ratchet & Clank dish out the destruction on a Honey I Shrunk the Kids level. 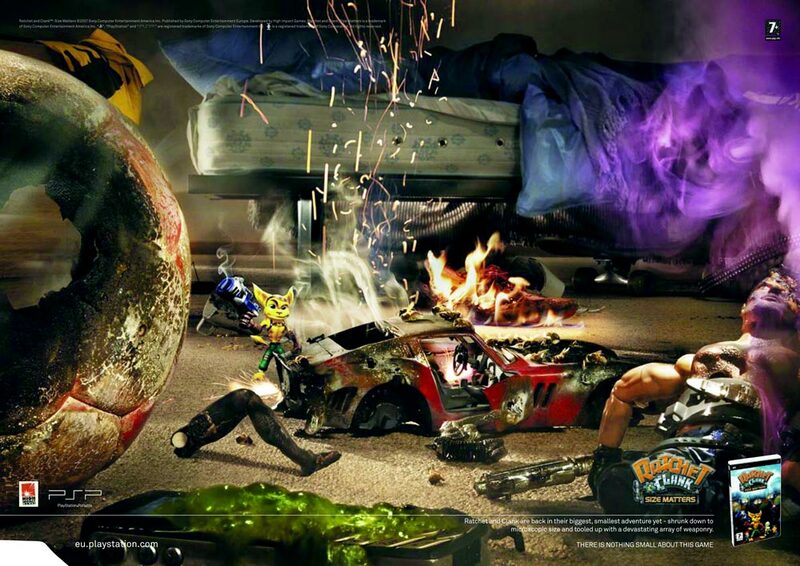 So the same was executed in camera for this international Sony PSP print campaign. Ratchet and Clank are back in their biggest, smallest adventure yet – shrunk down to microscopic size and tooled up with a devastating array of weaponry. © 2019 Graham Stewart. Powered by WordPress.